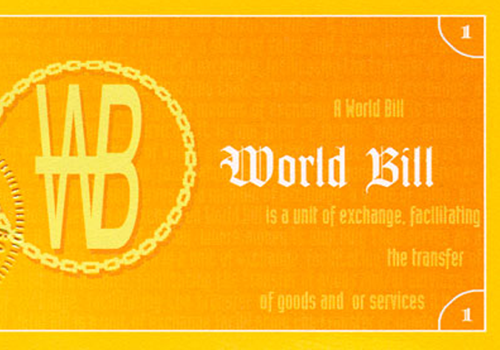 World Bills, a global currency was created in conjunction with the first Global Free Store in 2009. Contributors to Free Store received World Bills for services donated to the store. These bills could be used to trade with other participants for goods or services. A special edition of the bills was created in 2009.